There’s Hunger; and Then There’s HUNGER!!!!! Seriously, I have been seeing a good change in my body composition and chalking it up to my early morning “fasted” workouts. This, mixed in with my regular circuit training and some HIIT training is helping my body adjust to the last days before my first competition! Tomorrow I will meet with my trainer to check on my stats and practice my sassy walk! Honestly, I think that is the most challenging part for me; next to the eating! I will just have fun and do my very best. This has been the most interesting journey I’ve gone through in a long time. Also, tomorrow is my last high carb day for awhile. I’m not very happy to hear this but I know it’s what I need to do. The eating plan changes up for me on Thursday. Get ready to hear how it goes. The exciting news is that I’m getting more attention from others in the gym on how surprised they are by my changes. I was busy sweating it out this morning and I looked over and saw two women “eyeing” me. I caught one of their attention and they came running over to tell me they were just talking about how good I was looking. Please keep going; this is what I need in the last days. I will not mince words. I’m exhausted. My schedule is busy enough and adding in an extra “cardio” session early in the morning only adds to it. I know how great I feel after it’s over so this is what I focus on when I’m grumbling at my alarm sounding off each day. I’m hungry…A LOT. It’s not just normal hunger, either. It’s like the “pregnancy hunger” that I remember experiencing in my prego days. If you have never experienced this feeling; it’s like the world is going to end if you don’t get food STAT!! I think my husband is forever scarred by this stage in our marriage. Now, when I am beyond the state of hunger and I want to get him to notice; I will use this stage as an example. This eating plan leaves me feeling prego “hungry” every 2-3 hours. Really; how can I go from 0 to 1,000 on a hunger scale in less than 1/10th of a second? But it happens. I will be happily going about my day and all of a sudden…BAM!!! HUNGRY!!!! Where’s my food? And if any poor being is around me at this unfortunate time…I apologize ahead of time. I also find my self apologizing a lot lately. Par for the course, right? Well, the workouts make me tired and sore but I have to admit I feel like I could take on the world when I’m in the middle of it. Watch out everyone! I’m in the ZONE!! I guess it’s the endorphins but it works. Hoping I get my fill of tomorrow’s high carb day and that I feel excited to hit Thursday hard with the new meal plan. I’m committed either way. No turning back. I think we should all experience uncomfortable challenges throughout our lives just to prove we are better than we give ourselves credit for. Get out there and kick some booty this week!! My journey continues…. Next postIs It Still Wednesday? Your body looks amazing. The "cuts" around your upper body are beautiful, your abs are WOW – and your legs look hard as a rock!! 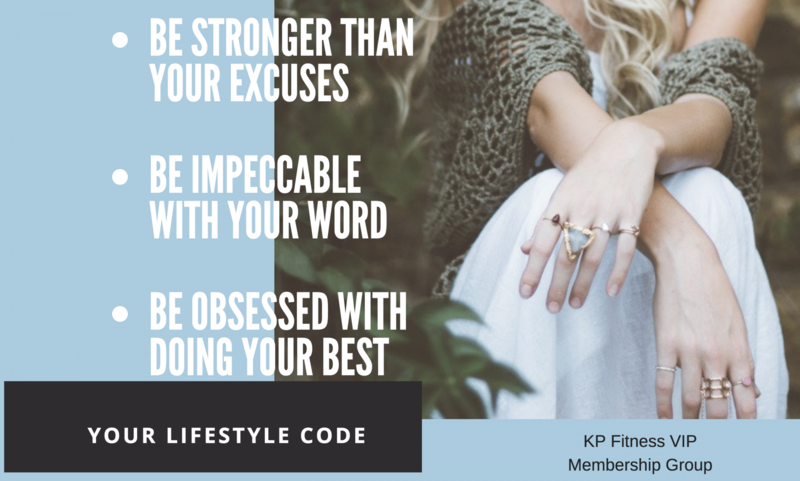 You ARE strong, you CAN do this – you WILL conquer!! !